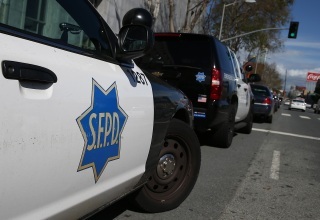 A group of 15 suspects allegedly assaulted two people and stole a cellphone from one of the victims during a robbery in San Francisco Friday night, according to police. The reported robbery happened around 9:10 p.m. in the area of Gonzalez Drive and Cardenas Avenue, police stated. The incident first started when the suspects became entangled in a verbal altercation with the two victims in their 20s, according to police. As the victims attempted to confront the suspects, the suspects assaulted them and swiped a phone belonging to one of the victims in the process. The victims suffered non-life threatening injuries. The suspects were said to have fled the area in two different vehicles, according to police.